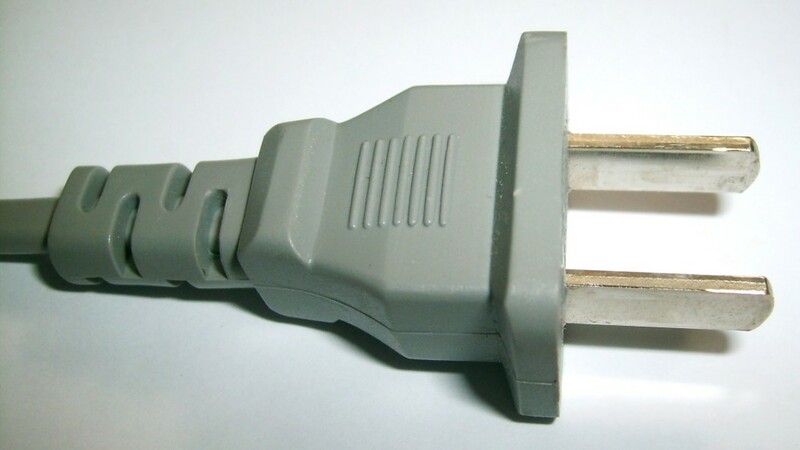 There are two major reasons wherefore people all across the world try to save energy. In a world where everyone cares for themselves and their families, it makes perfect sense to be concerned about the costs. Energy costs keep going up on a regular basis. It is just part of life. Everything costs more and more as time goes by. However, energy is crucial for your comfort and convenience. 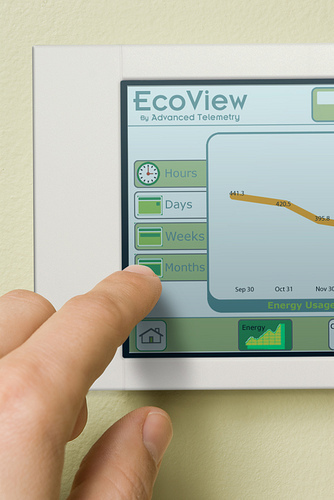 From this point of view, saving energy is about saving money. If you take your time to analyze where you are wasting energy and how you can save it, chances are you will save a decent amount of money on a yearly basis. If you do the math for five or ten years, the result will be encouraging enough to direct you toward other sources. After all, solar panels rely on a source of energy that is less likely to be gone while you still exist – the sun. On a different note, there is also a different category of consumers who are more concerned about what they leave behind. These are the environmental advocates. They would rather sacrifice some of their convenience, comfort and money in order to preserve the environment. They are aware of the negative consequences of human actions over the planet. They do not only care about themselves, but also about the environment. These individuals know what global warming means. They try their best to leave a peaceful and healthy world to their children and grandchildren, so they recycle, adopt healthy lifestyles and preserve energy. The financial purpose of this action is only a positive and direct consequence of their lifestyles. Once again, solar energy becomes the most appropriate solution for their necessities. The sun is less likely to go out too soon anyway, so renewable energy can keep the planet safe overtime. Understanding how solar panels work is probably the best way to convince yourself that you are about to make an excellent choice. They only require sunlight for a top notch operation. They grab it from the sun and convert it into direct current energy. For maximum efficiency, they are usually installed on the roof. They may also be installed in open fields, as long as there are no tall trees or buildings around. All in all, since homes require alternating current electricity, the energy is not used as it is. Instead, it is transformed with an inverter. Once you have all these, you can finally power your appliances. If you are still connected to the utility grid, you can sell the excessive energy to the local network. On the other hand, if you have large batteries, you can store it accordingly for further uses. The overall efficiency is obviously directly proportional with the location. Solar panels are most efficient when they face the sun, so they should never be orientated toward north. They need to be installed at a specific angle as well, while trees and tall buildings are out of discussion. Your location is also relevant, as well as the climate and weather conditions. Just like you have probably guessed already, solar panels are excellent for hot sunny areas. Understanding the current and future necessities of your household is imperative before even educating yourself on solar panels. Not sure how to guess how much energy you require? There are a few easy ways to tell. The hard way implies counting all the appliances around the household, as well as their needs and usage frequency. The easy way implies checking out the last year’s bills. It is usually a matter of minutes. Solar panels function at their peak during daylight, just like you do. As the sun loses its intensity, so do they. Your lifestyle is also quite relevant in the process. If you are a night owl or you spend most of your daytime at work, you do not require too much energy during the day. Therefore, you can get along with a small system. On the other hand, if your family is large and different family members have different needs, you should opt for a large system instead. Matching these two variables is the solution to get a solar panel system that will pay for itself quickly. If you are already thinking about making money by selling electricity to the local utility network, you should think twice. For now, chances are you will not make a lot of money by feeding energy into the grid. Time might change, yet given the increasing popularity of solar panels, this will probably never be a good business idea. Instead, enhancing your financial situation is all about maximizing the internal use. Exporting should not even be taken into consideration. Years ago, solar panel capacity was directly proportional with your available roof space. Things have changed a little over the past few years, especially with the wide variety of innovative changes in this industry. Back then, limited roof space asked for a top notch efficiency. You were mostly limited to mono-crystalline panels, which were quite expensive. Their efficiency did pay off, indeed, but the initial costs were quite high. Luckily, polycrystalline panels have overcome these issues. Even so, you still have to put output and panel size in a balance. You do not want to overcrowd the roof and kill scalability. Without a power inverter, solar panels will not be able to supply your home with energy. The inverter is nothing but a simple box that converts power. It can be installed in any home, since it does not require too much room. However, despite the insignificant appearance, solar inverters are not identical in efficiency. A poor quality inverter will take more time to pay for itself, so pay attention to this relevant consideration. Efficiency is reversely proportional with the waste during the conversion. Be aware of generic brands built in countries that you cannot even locate on the map. Just stick to the front runners. The climate is probably the most significant element when not sure whether or not you should get solar panels. It tells you how much sunlight you should expect on a yearly basis. Obviously, the closer you are to the equator, the more sunlight you will get. Days are also longer in the respective area. Snowfall is not a problem, unless it floods your panels. Some parts of your roof are less exposed than others. If you got snow during winters, the panels will be covered anyway. What you do not want is to have snow buildups on them. Think about cloudy regions too. The more cloudy your area is, the less efficient solar panels will become. They will still be economical though. Smog, air density (thinner is better), temperature (lower is better), fog and winds are not to be overlooked either. Sometimes, these factors are all related to preventing unexpected situations. Humid environments can ruin joints, so seal them appropriately. As for wind, you better ensure that your equipments are perfectly installed. While it looks like you got plenty of options for solar panels, the truth is that you do not. Of course, you are free to install them in your basement too, but then, you want a top notch efficiency. If your home construction allows it, the roof is by far the best place. The roof should face southwest, while its inclination angle must be at around 45 degrees. Of course, you can pick other places too, but the more accessible these panels are, the more wear and tear they are exposed to. Besides, mounting racks tend to skyrocket the costs. As if all these were not enough, they will ruin the overall appearance. Your home will end up looking like a factory, so racks kill its appeal. When it comes to the altitude, it depends on the sun’s. You have to do a little match. Consider the two equinoxes – March 20-th and September 20-th and check the altitude between these dates. The angle is highly connected to the latitude as well. The real challenge occurs when trying to spot the south. You probably know where the sun comes from. You know where it goes down, so you just have to check the sides. A compass can be just as helpful – apparently. The planet is not so perfect in construction. Therefore, the south will not always match the compass indication. So how do you do it then? Stick a short pole into the ground. It can be anything – even a broom. Check a local newspaper and find the dawn and dusk times. They are usually mentioned. Do the math and find the middle minute. It will be around noon, with or without an hour. It depends on the time of the year though. Check the pole at this middle minute between dawn and dusk, while its shadow will indicate south. There is a fairly good chance to be able to install the solar power system on your own. A lot of people choose this option for its cost efficiency, since they no longer need to pay contractors. On a different note, this option may also cause a lot of defects and a decreased efficiency if you are not experienced with such technical things. Therefore, hiring a contractor does have a few benefits as well. Solar systems are like puzzles. If you miss a subtle element, your work becomes useless, so experience has a huge impact on the final outcome. Do your homework and check some considerations before making a final choice. First of all, read a few manuals. Read them twice and ensure that you understand everything. You can find manuals for free online, depending on the solar system you purchase. If something is not clear, get a different system. Get in touch with the local requirements too. Are there any aspects you have to respect? Are there any permits you need to obtain? These things become your responsibility. Double check with the insurance company as well. Some companies may not accept DIY operations. Other than that, you should know that some manufacturers do not really sell equipments to random individuals. Instead, they only deal with licensed contractors. You might, however, be able to come up with a good deal, but chances are you will lose the warranty. Since warranties for solar panel systems float between 10 and 25 years, this is not something you want to overlook. At the same time, it might be a good idea to analyze your savings. Do not make this decision without putting both solutions in a balance. How much money can you save by conducting the installation yourself? Most contractors do not buy one or two systems per request. Instead, they buy in bulk. Therefore, they have better prices than you do. Sometimes, even if you hire a contractor for the installation, you may obtain a better final price than doing it yourself. Try to get quotes from a few different contractors before making any assumptions, but also get in touch with more manufacturers and check their price tags. Last, but not least, remember that this is not the type of DIY project that can be fixed and adjusted as you advance. If you are new to electricity, you better forget about this idea. Solar power systems can expose you to a series of dangers. They may show up out of nowhere. Not understanding electricity may lead to ugly accidents. As a short final conclusion, solar power is likely to take over the world at some point or another. The change is quite slow, but also obvious. 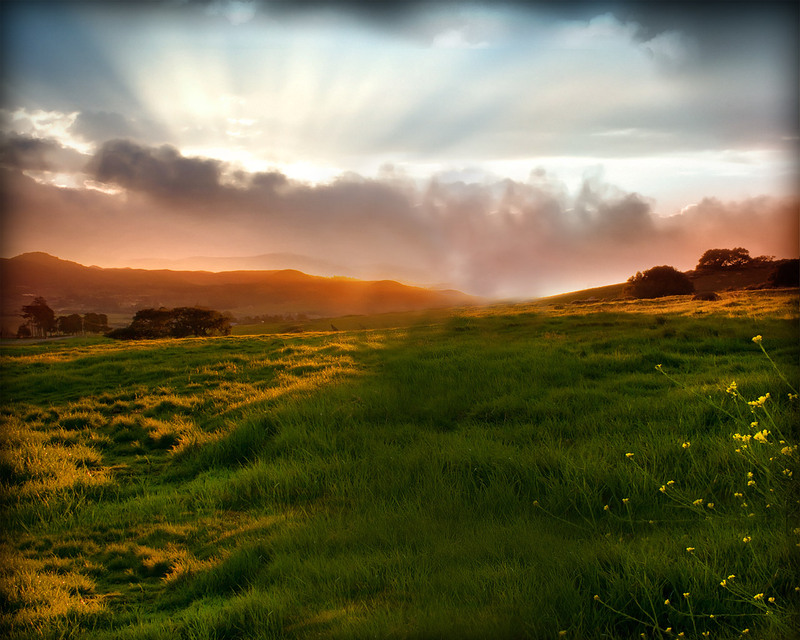 More and more individuals opt for the regenerative energy for both their homes and commercial properties. Energetic efficiency is one of the primary goals in modern individuals. The new man is more educated than ever and has access to all kinds of information and research studies. While everyone might try to save some energy by insulating their homes or unplugging appliances they do not use, the truth is that such a venture goes further than that. Furthermore, this is one of those changes that will not provide immediate results overnight. You may not even be able to observe any updates right away, but if you do the math at the end of the year, some savings can definitely motivate you. To some people, saving energy is all about the money. They save energy in the attempt to cut the utility bills. They know that their savings will not be so obvious after the first month. Even if they are, you will probably not save a fortune anyway. But once again, these things become obvious in the long run. You are probably aware of all those modernist solutions to help you preserve energy, whether it comes to LED lighting or energy efficient domestic appliances. These days, there is an energy efficient alternative for any type of fixture or appliance. Choices have never been more diversified. To a different category of people, preserving the energy has nothing to do with the money. Of course, they do think about it, but this is not their primary goal. Instead, they want to maintain the environment for the future generations. They are hardly pushing to reduce the necessity of specific fuels like oil, natural gas and coal. Reducing their use also implies lowering the CO2 emissions. CO2 is currently the main reason for global warming, as well as other pollutive issues and the hectic weather conditions occurring all over the world. Only in the United States of America, the average individual releases up to 40,000 pounds of CO2 on a yearly basis. If every citizen would at least try to reduce the pollution and energy, the whole country would reach to a new level. Keep in mind that the population spends around $1M every minute. You do not have to go live in a cage or use candles to light up your home, but just exercise a few simple ideas to cut the annual emissions. Changing yourself or changing the ones around you may look irrelevant. However, every change in the history has started from one point or another. Doing it yourself will inspire others and so on. A few people can change the world, so all these things will work in your favor. They will create a better you, as well as a better environment for your children. Home improvement is not something that you do everyday. It is a costly process that some people perform at every few years or at more than a decade. You do not have to start today in order to save energy. 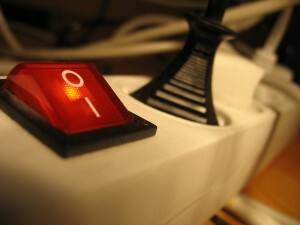 But the next time you plan anything, make sure that you do it with the energy consumption in mind. Even if such things might look more expensive, they will pay for themselves in no time, while the CO2 emissions will be severely reduced. Double glazed windows make a great replacement for classic windows. You may not necessarily fall for numbers – saving close to 10 tons of CO2 if you have electric heat and almost 2.5 tons for gas heat. Instead, you will notice the upgrades in your comfort right away. Got cold winters? Double glazed windows will keep the heat inside. If you have ordinary windows, you can probably tell already that cold air goes in if you stay close to them. The same goes during the hot season. You do not want to use the air conditioning system round the clock just because the air cannot be trapped inside. Furthermore, you will save money year round on your energy bills. Insulating has the exact same purpose. Insulating external walls (including ceilings and floors) is ideal for your comfort, as well as your contribution to the environment. Insulation usually goes along with double glazed windows. Doing one of them at a time is still a good idea, but tackling this entire process in one shot will boost the efficiency of your energy savings. Energy bills will be reduced with around 25%. Unless you live in a block of apartments, you might want to consider investing time (and not so much money) in the environment around your backyard too. Shade trees can be purchased or planted from scratch. They will not just turn hot summers into more comfortable places to rest under, but they will also protect your home against storms and provide fresh oxygen. The color of your house is also quite relevant. Do you pay attention to how light colored clothes reflect heat and dark accessories attract it? The same goes for your home. Living in a hot area? Paint the house in a light nuance. Apart from more expensive operations to preserve energy, chances are you can perform some upgrades right now too. The costs are insignificant, while the decision is based on your will to improve your lifestyle. Got a water heater? Dress it up. Get an insulating jacket and wrap it around. It may not be the most aesthetic appearance, but such things are cheap and will save over 1,000 pounds of CO2 every year. If you cannot afford using double glazed windows, weatherize the home meanwhile with a cheaper solution until you can save some money. You can find all kinds of weather stripping products and caulk in commerce. They allow you to seal doors and windows. You might want to consider a home energy audit if not sure where the home lacks insulation. The water consumption is also directly related to the energy waste. Taking hot showers is not just quite unhealthy, but also costly and harmful for your environment. Besides, you do not have to be a genius to realize that you waste a lot of water while showering. So how about some low flow shower heads? They limit the flow and cost less than a hamburger. You will save money on water, but your environment will also thank you. Finally, stick to energy efficient bulbs. Compact fluorescent lights have gained a lot of popularity over the past decade. They do, indeed, cost more money, but they will pay for themselves in no time. These days, LED lights seem to be even more popular. They will probably last for more than ten years, while the energy consumption is close to none. Their advantages are a lot more diversified. Small actions may not have huge effects over you, but they will seriously impact the environment, especially if implemented at a high scale. For example, the refrigerator eats up around 15% of your entire electricity use. Ideally, it should be set at 35 degrees F, while the freezer should not go lower than 30 degrees F. These are the optimal values for an efficient operation. If you tend to run the dishwasher after each meal and run it with a half load, you should just wait until you fill it up. Got a drying function? You probably find it useful, but you should know that dishes can air dry within minutes only. Do not overlook the water heater thermostat either. Such things are set at 140 to 150 degrees F, yet they can do a fairly good job at 120 degrees F too. Thinking that 20 degrees is nothing? If all the households in the United States would reduce the temperature by 20 degrees, the country would prevent around 45M tons of CO2 from going up in the air on a yearly basis. This amount is more than what many countries out there can release; Libya, Romania or Ethiopia release less than that. Last, but not least, never overlook the importance of research when buying new appliances. Whether you have to replace an old washing machine, a dishwasher or a boiler, look for energy efficient items. The market is quite diversified. There are plenty of small hacks that people overlook, whether they are too ignorant or they simply got no idea about them. Covering kettles when boiling water for a faster result. Insulating water pipes to maintain temperature. Installing the water heater close to the kitchen to prevent heat loss. Keeping lights on only when needed. Keeping bulbs dust free to prevent light loss. Choosing laptops over desktops, as well as LCD monitors over CRT monitors. Vacuuming refrigerator coils three or four times a year. Buying appliances according to your home or family necessities only. Washing clothes in warm and cold water instead of using hot water. Starting to drive as soon as the car is turned on, without waiting for it to warm up. Walking, cycling or using public transportation as often as possible. The three Rs normally refer to a few basic skills in life – reading, writing and arithmetic. They are different in energy efficiency though and relate to reducing, reusing and recycling. Believe it or not, all the food that goes to trash in the United States of America can feed the entire Africa. People naturally waste a lot of things and energy is one of them, especially since it relates to plenty of other considerations. From this point of view, you can reduce the levels of waste by purchasing minimally packaged goods. Reusable packages, bags and products are just as useful over disposable alternatives. In the end, recycling everything is the key to productivity. The equation is quite encouraging. Every amount of waste you recycle or eliminate will reduce the CO2 emissions with at least as much. It is easy to tell your success rate. If you can reduce the garbage bag in half, you will save over 1,000 pounds of CO2. Recycled materials also contribute to the energy consumption. Up to 50% of paper, 35% of glass and 90% of aluminum can be recycled. Unfortunately, a lot of people choose comfort and ignorance over dedication. Recycling and reusing can be done in any environment, including your home or your car. If you have an air conditioning system inside the car, keep the coolant in the best possible shape. Recycle it when you service the system. Air conditioning leaks represent the most important source of CFC (Chlorofluorocarbons) elements in nature. The respective substances destroy the ozone layer, hence the necessity of regular servicing. When traveling, most people leave at least a light on, only to deter potential burglars. This is a bad idea. Instead, set some lights on timers. The results will be more efficient, but you can also preserve some energy. Heaters and other appliances should run on the vacation settings too, yet not all appliances have such things. Everything that is not used should be unplugged. Driving on the highway will also affect the energy consumption. 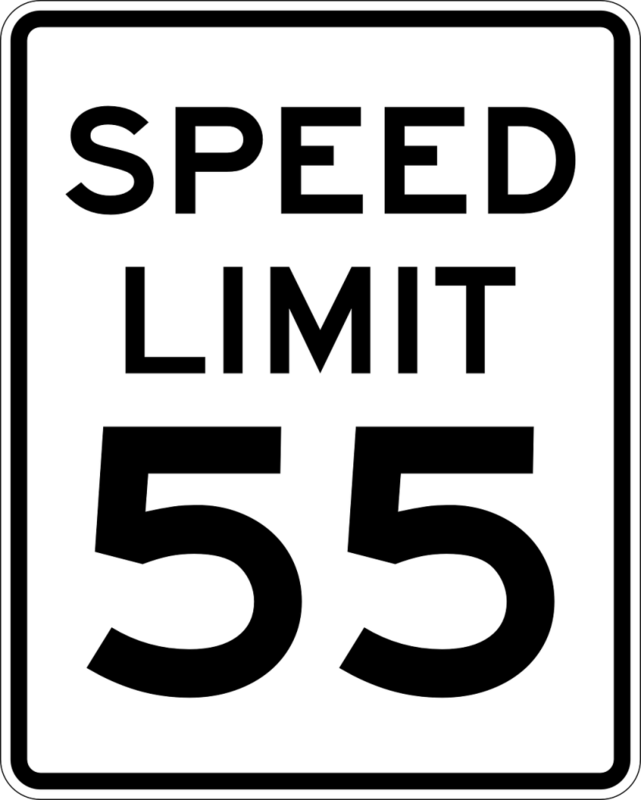 Doing 65MPH instead of 55MPH will lower the traveling time, but you will increase the fuel consumption by over 12%. Go to 75MPH and you will lose 25%. While time means money, there are situations when time means wasting money. Roof racks also kill the dynamics of your vehicle and add to the fuel consumption. Such things may not be obvious, but savings will pay off overtime. As a short final conclusion, there are a wide plethora of tips to conserve energy. They vary widely from one individual to another, depending on their lifestyle and necessities. What works for some people may not always work for you, yet these considerations tend to apply to pretty much everyone out there.